SAN ANTONIO — Former Grand Rapids Griffins goaltender Jared Coreau logged 29 saves against his former team on Friday night, backing the San Antonio Rampage’s 2-0 shutout of the Griffins while at AT&T Center. The victory marked Coreau’s second shutout in 11 games with San Antonio and advanced his record to 6-4-1. The performance, paired with two Rampage goals scored within the first 14 minutes of regulation, put San Antonio’s record at 23-21-2-0 and marked the team’s 19th win while at AT&T Center this season. The Central division-leading Griffins (26-15-3-4) will return home from their trip through Texas and take a four-day break from game action before beginning a seven-game home stretch at Van Andel Arena. The homestand is the team’s longest since Nov. 29-Dec. 14 of 2013 and will begin on Feb. 6, when Grand Rapids hosts the Manitoba Moose at 7 p.m. The Rampage cashed in on an early power play opportunity 6:40 into the first period, snagging a 1-0 lead off a goal from Samuel Blais. Halfway into the 5-on-4 advantage, San Antonio’s Jordan Kyrou hovered in the left wing circle with the puck, drawing goaltender Harri Sateri out of his net. Instead of taking a shot, Kyrou tapped it across the ice to Blais in the right-wing circle. Blais buried a shot in the top-left corner of Sateri’s net, scoring the first goal of the game and forcing Grand Rapids’ penalty kill to a 1-for-2 finish on the night. Five minutes and forty seconds after it had recorded the first goal of the game, San Antonio recorded the last. Over the course of 12 seconds, Rampage defenseman Chris Butler fired off two consecutive long shots from the right point. On the second, Adam Musil picked up the rebound in front of Sateri and tapped it around the goaltender, extending San Antonio’s lead to 2-0 at 13:17. Listen to Bob Kaser's call on Musil's goal. Grand Rapids was issued a power play midway through the second period, but it had its best chance of the night halfway through its second penalty with 7:30 left in the frame. While shorthanded, Dominic Turgeon managed to wrestle the puck away from a pair of San Antonio defensemen and spur a 3-on-2 into the Rampage’s zone. While skating towards Coreau’s net, Turgeon dropped the puck off near the blue line and into the hands of Colin Campbell. Campbell’s shot from the right-wing circle fell off Coreau and rolled to Turgeon, who was waiting tight to the net. Turgeon attempted to curl it behind Coreau, but the puck rolled across the ice in front of the yawning open net instead. 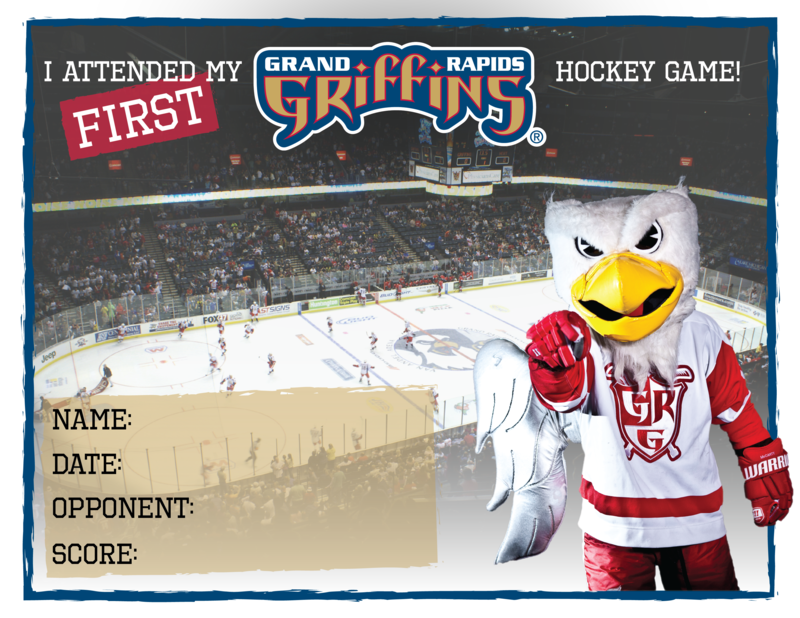 In the final three minutes of regulation, the Griffins opted for an extra attacker with an empty net. That advantage was extended to a 6-on-4 at 17:57 when Blais drew a slashing penalty, but even with the advantage, none of Grand Rapids’ remaining shots found twine to break San Antonio's 2-0 shutout. Notes: The Griffins' power play finished 0-for-3...Sateri recorded 25 saves on the night...The loss slips Grand Rapids’ road record to 10-11-2-1 just after being evened up with a 5-3 win over the Texas Stars on Thursday....Coreau was acquired by the St. Louis Blues from the Anaheim Ducks on Jan. 3....The Rampage have won 13 of their last 14 while playing at the AT&T Center.